Charolais has been the No 1 choice for over 20 years at the farm of James and Shane Rice from Collin in County Armagh. With 100 commercial cows, they have been selling their Charolais cross weanlings for a premium. With a reputation for well framed stores, there is high demand and a ready market for their quality stock. Calves are born in the spring are sold at the October Weanling sales in Markethill. With pens of steers and heifers securing top prices and realising up to £130+ ahead of other breeds. Repeat customers return year on year, demand is high for the quality Charolais Weanlings. 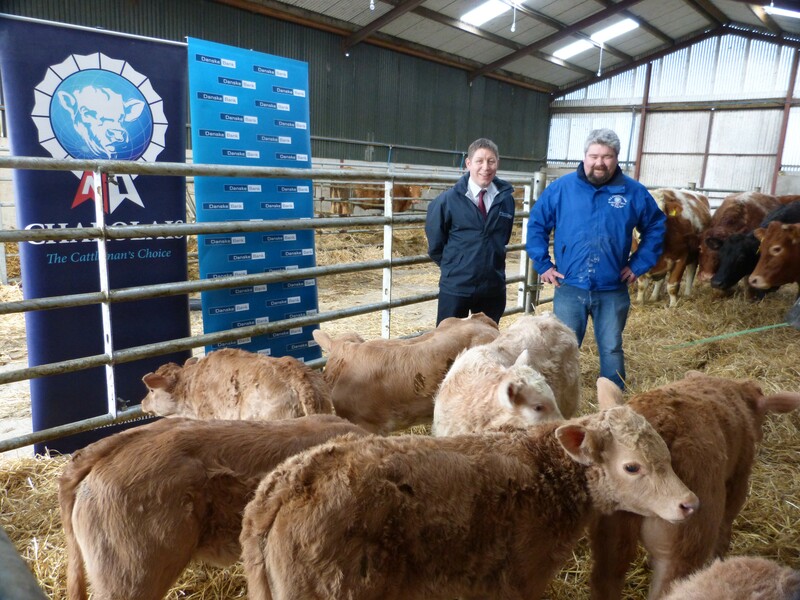 Buyers know what they are getting when they buy Charolais, with weanlings being purchased by finishers across Northern Ireland and Scotland. The Rice family are focused on breeding for the store cattle buyer for heifers and finishers for bulls. The discerning buyers are looking for cattle that are well grown for their age and carrying a moderate bit of condition ready to move on to more concentrated cereal feed. They aim to finish them through to 700kg liveweight or 400kg deadweight. “The Charolais used as the terminal sire is ideally suited as you can get them to an optimum weight for age at time of sale.” says James who for a number of years now has been achieving his target weights. In comparison to other breeds, the Charolais will maximise its potential at a younger age reducing overheads and improving farm profits. The diet for calves is mostly grass and milk based, the heifers and steers at Rice’s Farm are split in July when creep feeding is introduced. With easy to flesh calves, the creep develops growth rates, with concentrates peaking at 2kgs per head before sale. This flexible system, using home-grown grass and concentrates from local suppliers allows diets to be adjusted easily to suit the gender, age and weight. This higher protein and lower starch levels are particularly important for heifers who are predisposed to laying down fat. This facilitates the development of a good, strong frame, ready for fleshing out. Bearing in mind the recent weight restrictions imposed by beef processors, the Rice family seek to combine the Charolais growth potential with their commercial cross cows to maximise returns. They want animals that can easily be finished to the desired weight, with muscle in all the right places and desired correct fat cover. Not producing an excessively large animal is also dependent on cow size with the average cow at weighing in at 680kg. These cows are better suited for the job, are nicely shaped, without being too extreme or muscly, and keep input costs lower than bigger cows. Cow management is important for James and Shane, and they are conscious of matching a bull for their cows. “It is also down to careful bull selection, matching the bull’s growth potential to the cow size. I’m selecting one that is well shaped and fleshy.” When selecting new bloodlines, they pay attention to the quality of the bull, looking at the pedigree background and then calving figures stating that he “doesn’t mind calving a few cows but he is looking for sensible mid-range figures”. The NI Charolais Club is holding their next Show and Sale on Friday 19th March 2019 at Dungannon Farmers Market. Show classes, which have been generously sponsored by Danske Bank begin at 10.30am followed the sale commencing at 1.00pm. With a quality entry of 61 bulls and 6 females on offer. Catalogues are available on the British Charolais website www.charolais.co.uk or by contacting Dungannon Farmers Market. 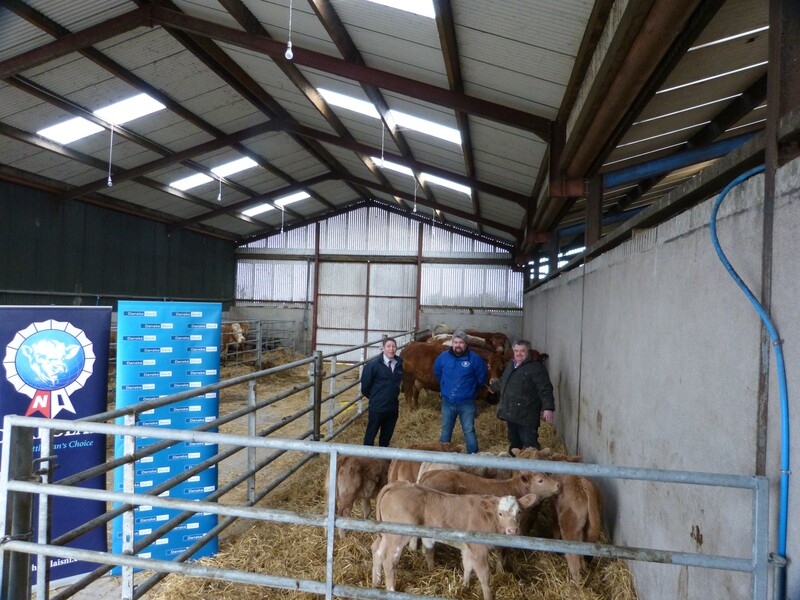 Other upcoming sales for your diary include Dungannon on 6th May and Swatragh on 31st May. 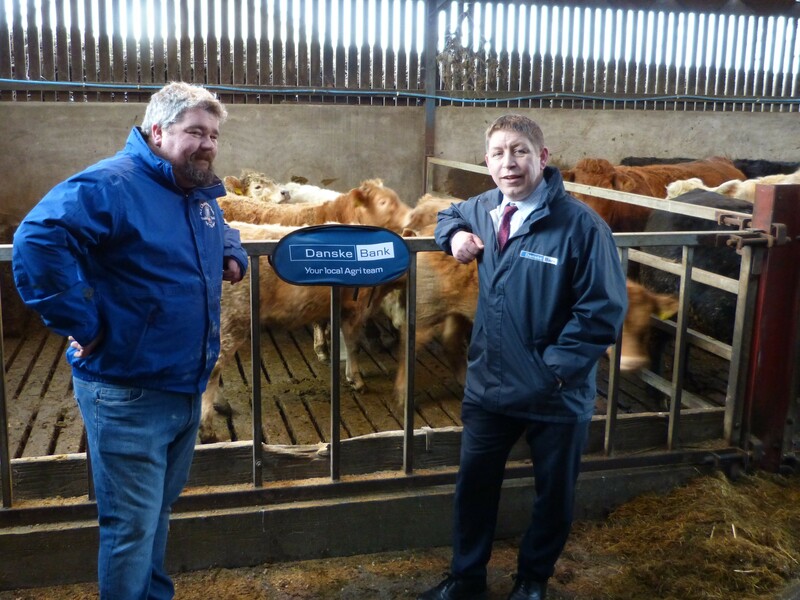 This article was endorsed by James & Shane Rice who have made Charolais their No 1 choice for over 20 years on their 100 cow herd located in Colling, Co Armagh. for the Markethill store ring.